Hi everyone! 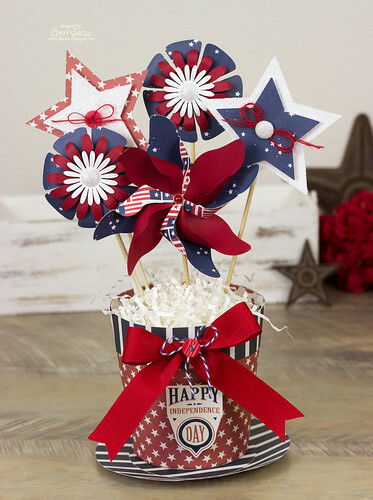 I'm up on the SVG Cuts Blog today sharing this festive 4th of July center piece. I combined two paper collections on this project....some o the paper is from Echo Park and some is from Bella Blvd. I cut the flower pot from the SVG Cuts Mom's Garden Gifts SVG Kit. 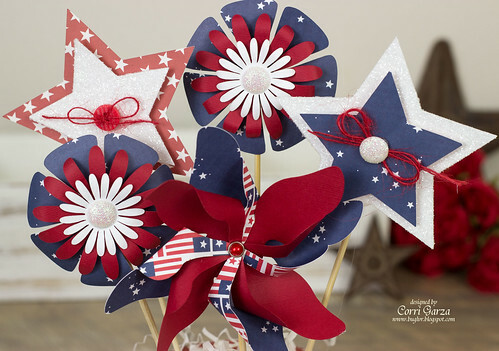 I used the following collections for the flowers and stars. The pinwheel is a free file. You can find it HERE! You can find full instructions over on the SVG Cuts Blog!